From serving meals to disaster victims to briefing soldiers before deployments, Red Cross volunteers contribute throughout our communities in many ways. Flora Holmberg serves in another important role: Blood Donor Ambassador at blood drives and fixed donation centers. What do you do as a Red Cross volunteer? I work as a Donor Ambassador in Minneapolis, St. Paul and Stillwater areas. I greet people who are coming to donate, thank them for coming in, and register them for their donation appointment. What’s your favorite part or memory of volunteering? I enjoy meeting and visiting with all the great people who come in to donate. Would you recommend volunteering with the Red Cross to others? Yes! Very much so!! It’s a great organization to volunteer for – it gives you such a great feeling to know that you are a part of something that helps so many people. Congratulations! to Barb Billmeier for receiving the 2019 Ann Magnussen Award, the highest honor of nursing achievement in the American Red Cross. Barb served as the Regional Nurse Lead in Minnesota until her recent retirement from this volunteer position. She also led the Minnesota Health Professionals Network as we strove to optimize volunteer engagement and increase capacity. Barb also serves as a volunteer disaster health services (DHS) responder helping people who need disaster assistance. Award nominees were evaluated on four criteria: (1) provides service to others; (2) teaches and involves others; (3) exhibits compassion, professionalism, and a humanitarian spirit; and (4) demonstrates outstanding contributions to strengthening Red Cross programs and services. Previous recipients from the American Red Cross Minnesota Region include Janice Springer in 2014. Click here to learn more about Ann Magnussen – a graduate from the University of Minnesota. 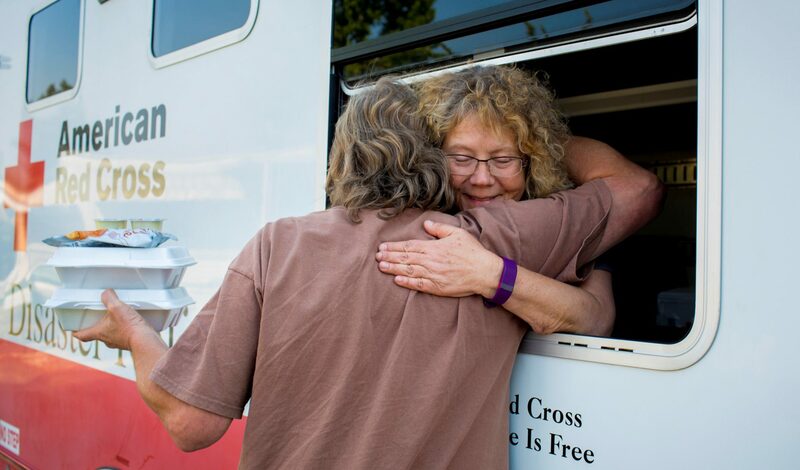 Click here to learn more about becoming a Red Cross volunteer. …. the more they stay the same. That’s a spot-on adage when we consider fulfilling our Red Cross mission to alleviate human suffering in the face of emergencies. For example, one hundred years ago Junior Red Cross volunteers in Duluth made care packages for World War I veterans overseas. This year our Service to the Armed Forces volunteers will distribute donated socks to veterans who are homeless or at risk of becoming homeless. There are more examples and yet, whatever the year of the new year, the basics of life remain the same. People need shelter, food and clothing. People need blood and blood products. People need to reach loved ones during emergencies. The Red Cross helps meet these and other basic needs within the context of being impartial and neutral, of empowering volunteer service, and keeping an eye on preserving and promoting human dignity in all of our work. This quiz will help you choose which action is best for you. Story by Lynette Nyman — pictured above last year with women living in Bangladesh in camps for people who have fled violence in Myanmar. The arrival of the holiday season often means spending time and exchanging gifts with family and friends. But what if the gift you needed couldn’t be bought? For patients like Mike McMahon, the generosity of blood donations was the perfect gift and didn’t cost anything other than a bit of someone’s time. Following a tragic tree felling accident on Nov. 10, 2016, McMahon, a Stillwater, Minnesota resident, suffered life-threatening injuries. He needed 11 units of blood during emergency surgery to keep him alive. He spent the next six weeks in the intensive care unit and inpatient rehab, including three weeks during which he had to be intubated as he was unable to breathe on his own. During his hospital stay, he also experienced an ulcer on a major artery in his intestines. The ulcer was so severe that he needed an additional seven units of blood and the artery was coiled to stop the hemorrhaging. McMahon was told that he might not be able to do a lot of things ever again – his future was uncertain. However, just a few days before Christmas he was released from the hospital. You can give patients like McMahon more time and memories this holiday season by donating blood at the American Red Cross 6th annual 12 Hours of Giving Blood Drive at Inwood Oaks in Oakdale, Minnesota. As a special thanks, all who come to give will be treated to free parking, complimentary gift wrapping, a special gift bag, a long-sleeved Red Cross T-shirt, and holiday food and entertainment and will be automatically entered into hourly prize drawings including grand prizes – a large flat panel TV and a HP laptop computer. To make an appointment to give blood at the 12 Hours of Giving Blood Drive, donors can click here or use sponsor code 12 hours on the Red Cross Blood Donor App, online at redcrossblood.org or by calling 1-800-RED CROSS (1-800-733-2767). We hope to see you at the 12 Hours of Giving Blood Drive. Happy holidays from your friends at the Red Cross!